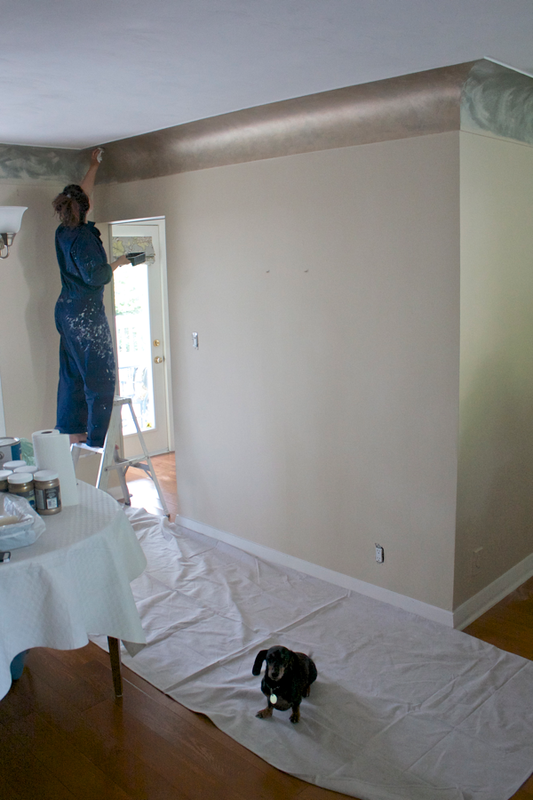 The Reveal… 50th Anniversary Surprise Reno for my Parents! I can’t believe it… we even beat the deadline! If you missed the post last week I will get you caught up. Kent and I moved into my parents house while they were away celebrating their 50th anniversary. 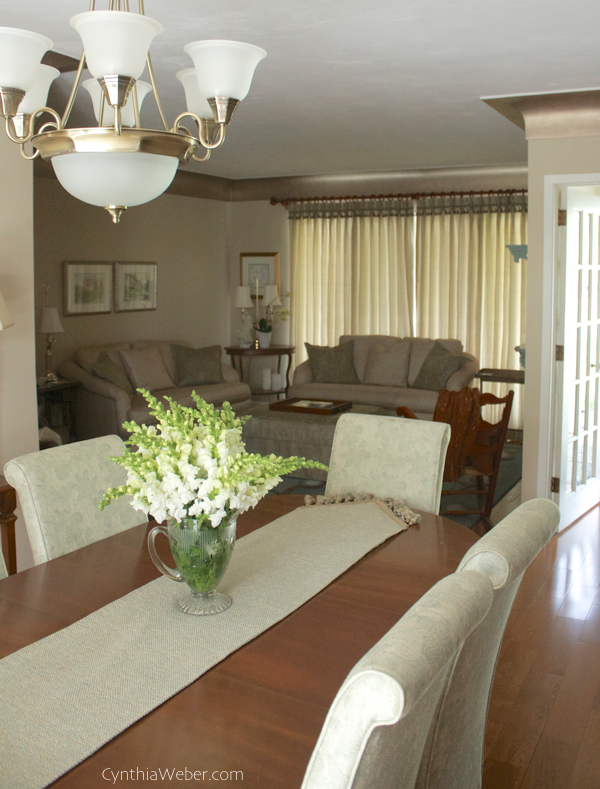 We decided to surprise them with a redesign of their living and dining rooms. They do know we were planning a redo by the way… they just don’t know the details!! OH… I hope they like it!!! 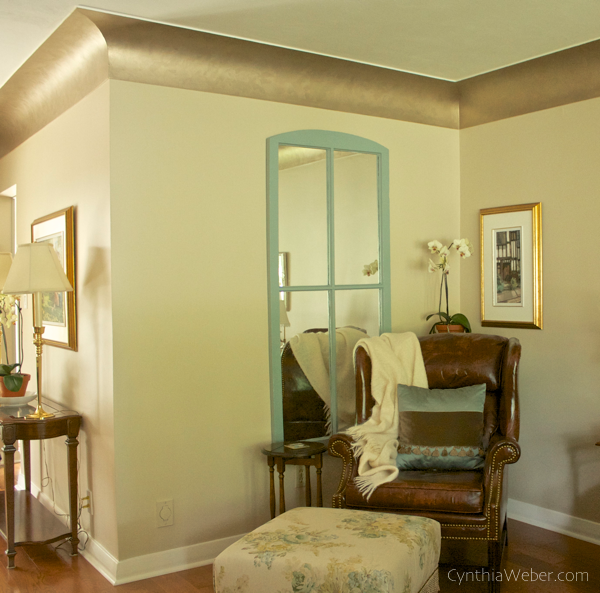 One of the main things I wanted to do was to repaint the walls and add a really beautiful detail to their plaster coving that runs along the ceiling line in living, dining and foyer. When we started it was painted the same colour as the walls. 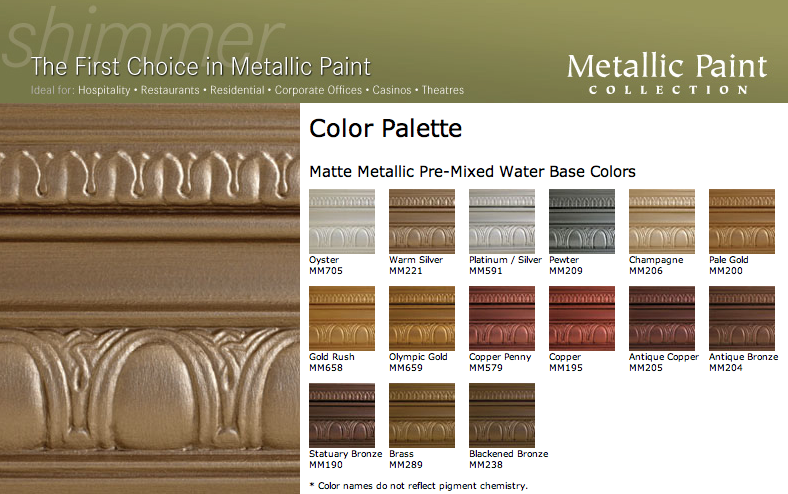 Modern Masters paint graciously supplied me with product from their Matte Metallics line for the project. I told them I would be happy to do a review and tell you how it was to work with. The colours I chose were warm silver, champagne, brass and blackened bronze. They are all beautiful but I ended up using mostly the warm silver and champagne with just a touch of the brass. 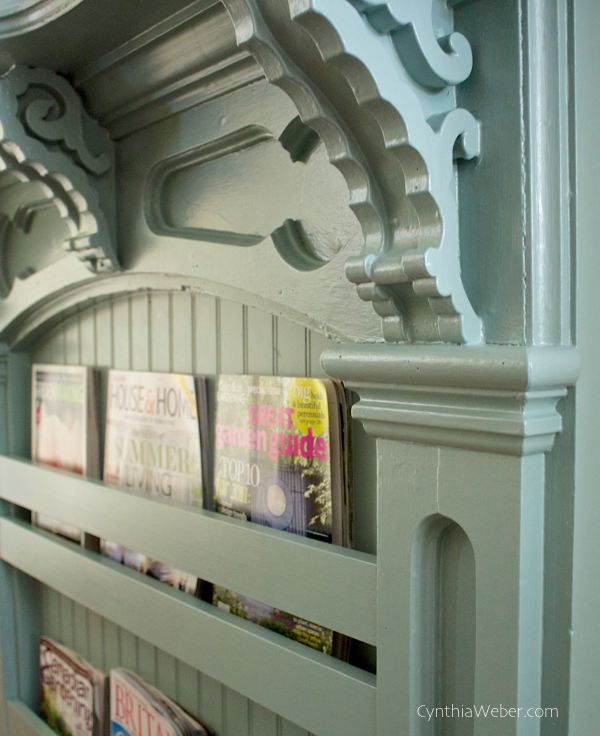 Those were the tones that best matched the wallpaper I was using as inspiration. The technique I used was very simple. 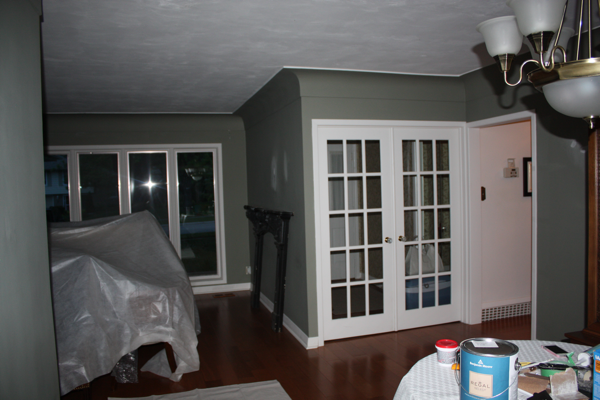 I painted the walls and dry brushed a bit of new wall colour up onto the green of the coving. Then I rubbed the warm silver randomly over top. Each time I added more paint in the different hues to build up the colour. 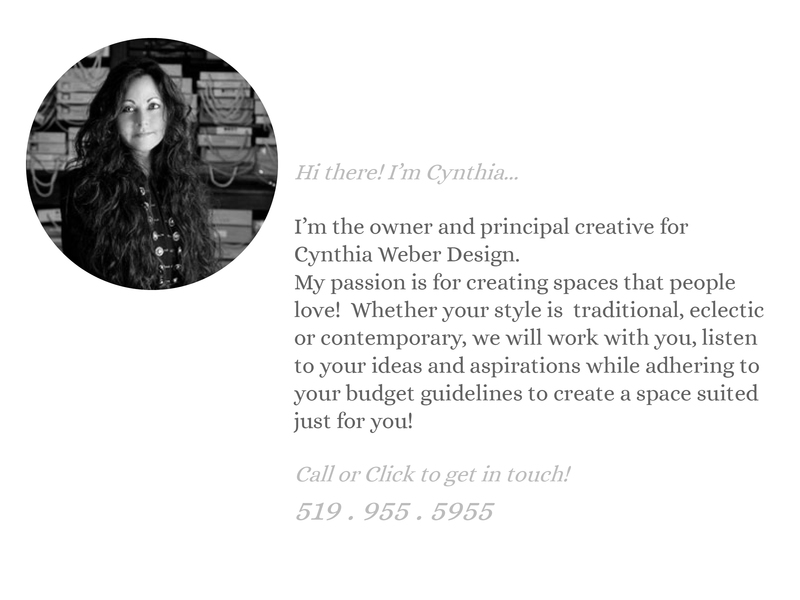 I loved working with it… It was actually quite fun! I used paper towel. I know it seems crazy but it worked really well. When I felt I had enough texture I stopped. 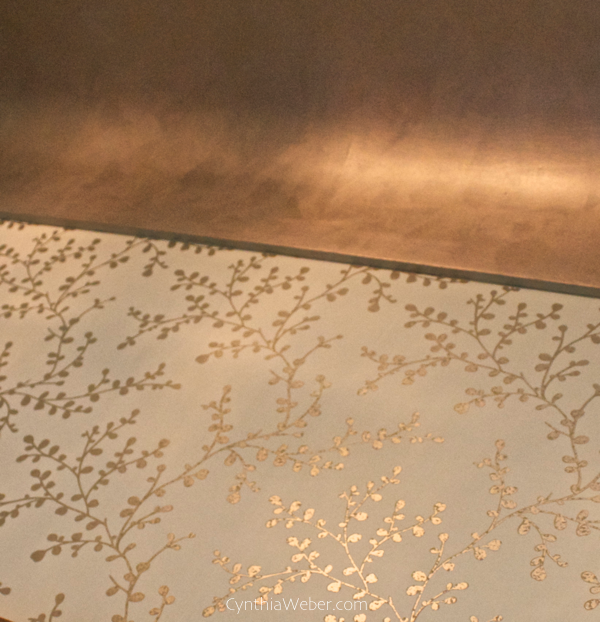 I love how it catches the light and works with the metallics in the wallpaper. 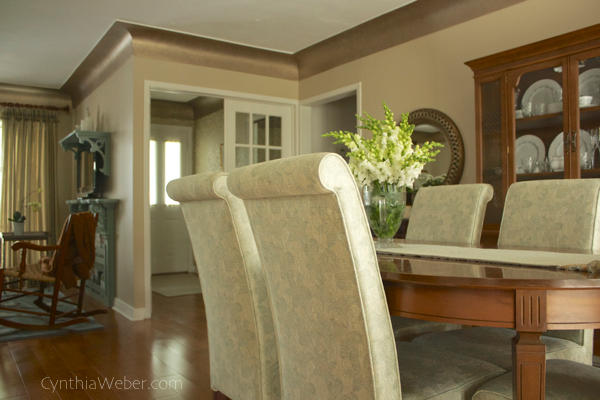 I had 115 running feet of coving to do… and I don’t mind saying… I am not sorry it is done!! It turned out exactly as I was hoping it would and I look forward to using these beautiful paints again. I left a link above to the Modern Masters homepage… pop over and see all their wonderful products! 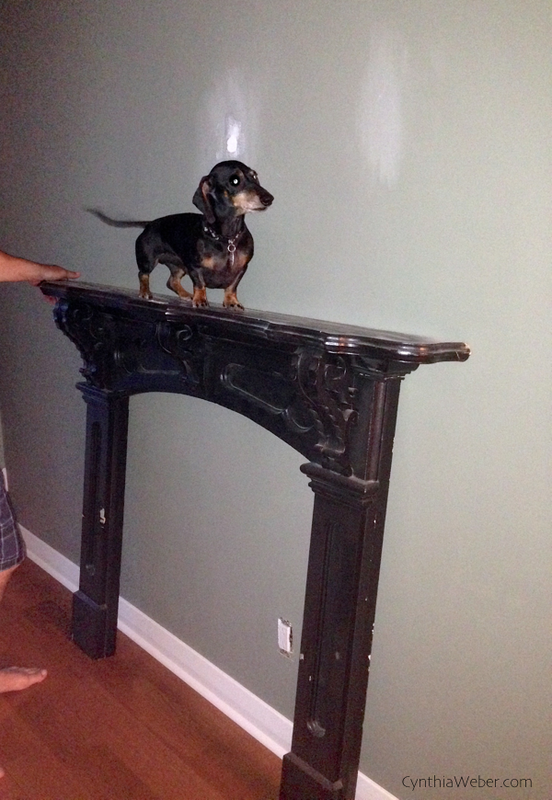 The next thing we tackled was turning that antique mantle into a focal point for the living room. Then Kent added a beadboard backplate. 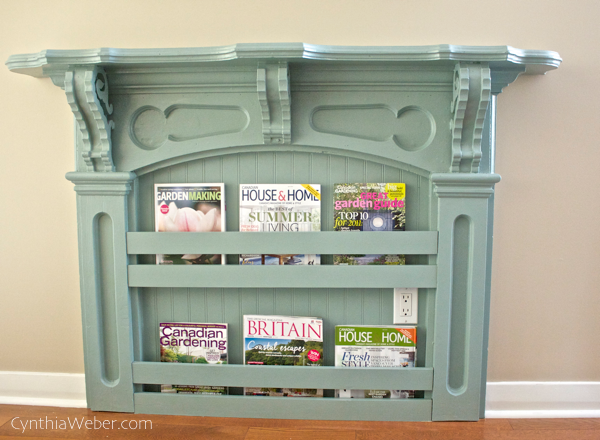 We added strips of pine to make a magazine/book rack! I love it!!! What about you? But, I was not successful so we took our living room rug to their place. After all… A girls got to do what a girls got to do to make a reveal come together! 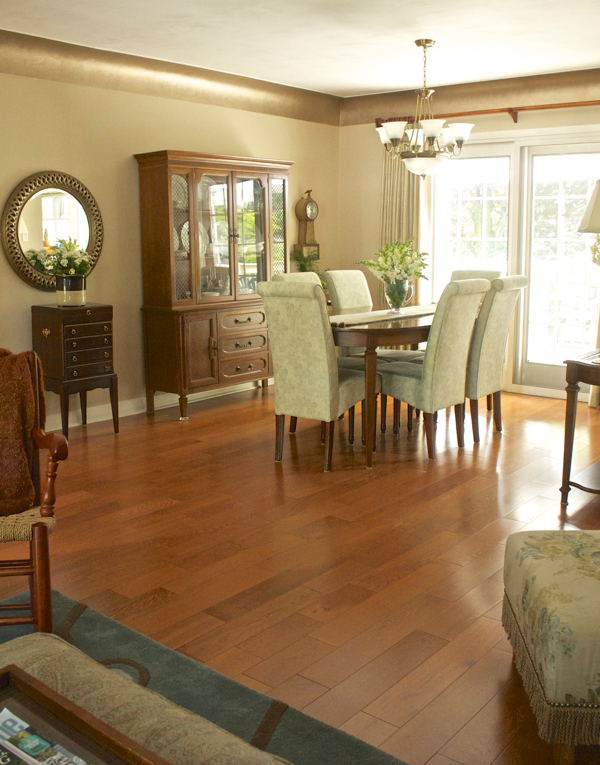 I will keep looking for the perfect rug for my parents, in the meantime… our Angela Adams one looks pretty good and it certainly is cozy on the toes! 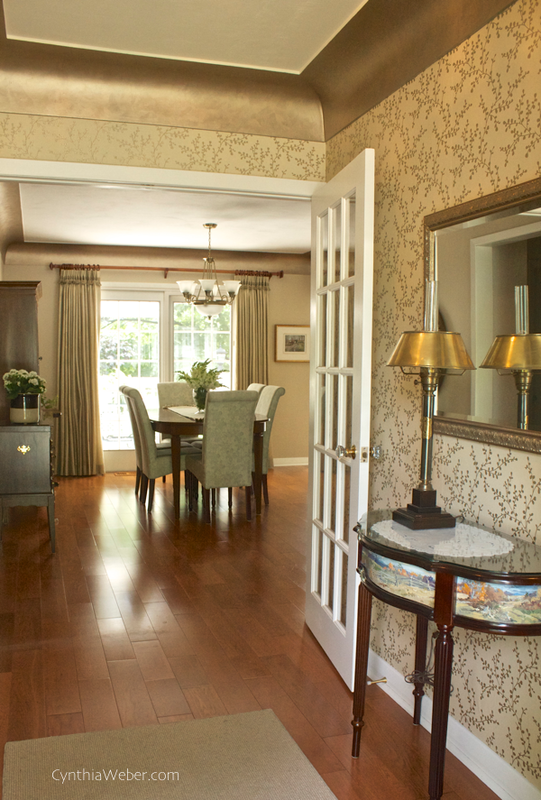 The view from the front door is lovely… and the foyer glows like a little jewel box with that beautiful coving!! 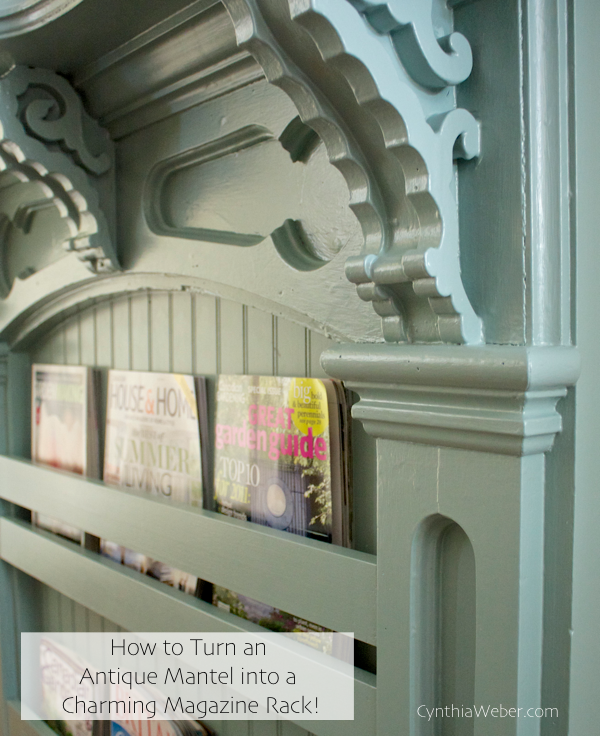 A reading nook off to one corner is anchored with a mirror I took from their basement and repainted to match the mantle. The small ottoman is one that Kent and I made for them a few years back. The loveseats are from Gresham House Furniture. My parents bought them about five years ago and they still look like new. I love Gresham pieces! My mom and dad get home this weekend and I can’t wait to hear what they think! I them promise not to peek at the blog before they got home so everything will be a surprise…. and perhaps a big nap!! 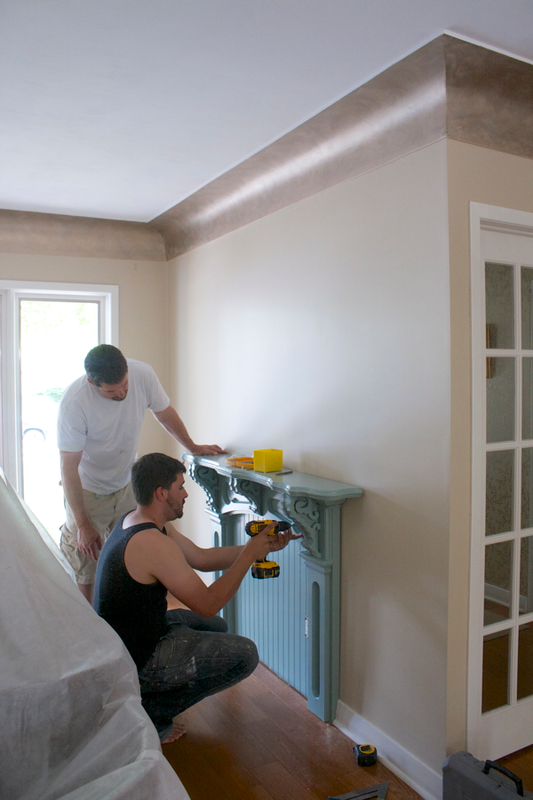 Disclosure: Modern Masters Paints provided me with product for the coving project. The opinions expressed in my review are my own based on my experience working with the Matte Metallic line of paint. 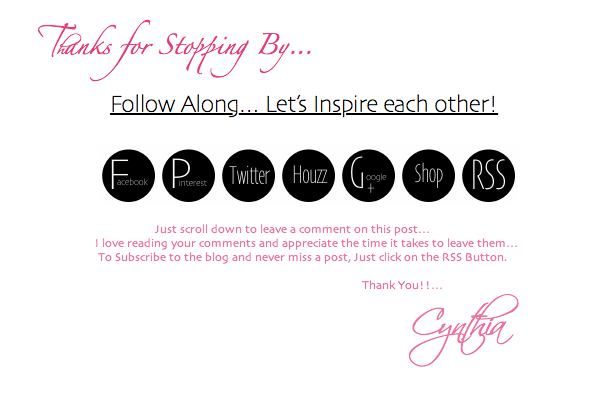 If you are a “Pinner” please pin away!! !